In2Surf Surf School offer the Australian Sports Commission endorsed “Safe Surfing Program”. This program can be run with 5 students to 80 students. It is a 5 level certificate program which is available throughout the school year. It can include video presentations, work sheets and can cater to improve all levels of surfing abilities from absolute beginners through to advanced. 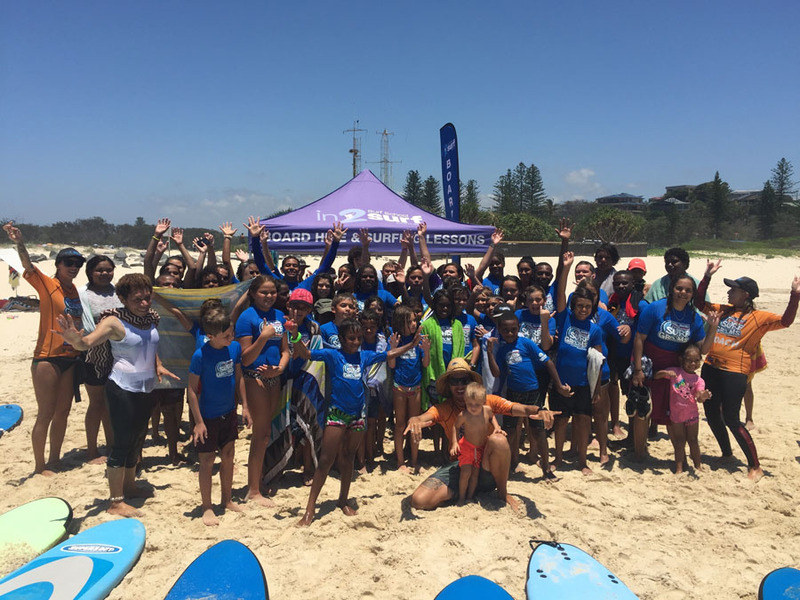 In2Surf Surf School also offer School Sports Programs with activities including Surf Awareness Presentations, Body Surfing, Body Boarding Lessons, Learn to Surf Lessons or the Weetbix SurfGroms program. Whatever you are wanting for the school we can cater to your needs. Group sizes can vary from small intimate groups through to large schools. Ages can vary from Yr 3–12 and we cater for beginners to advanced students. All students are equipped with a rash shirt, proper sized soft learner surfboards or body boards. 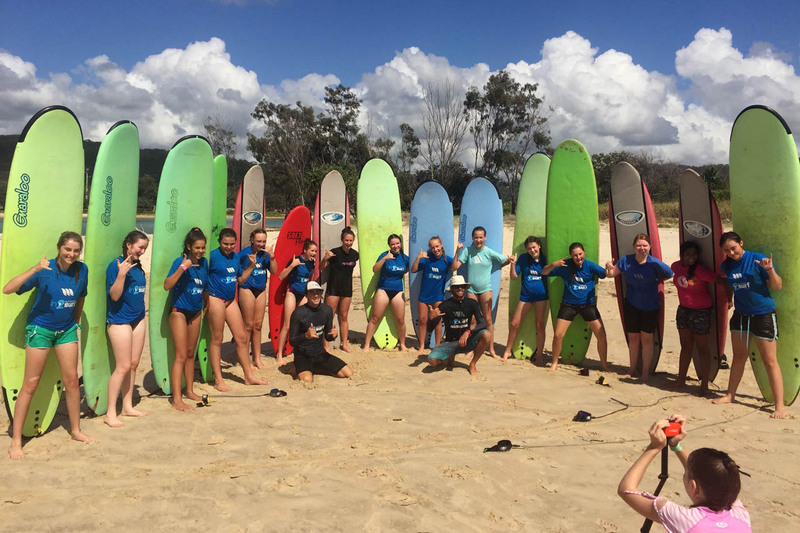 All coaches are fully accredited through Surfing Australia with senior fist aid certificate, advanced resuscitation, ocean bronze and working with children blue card. 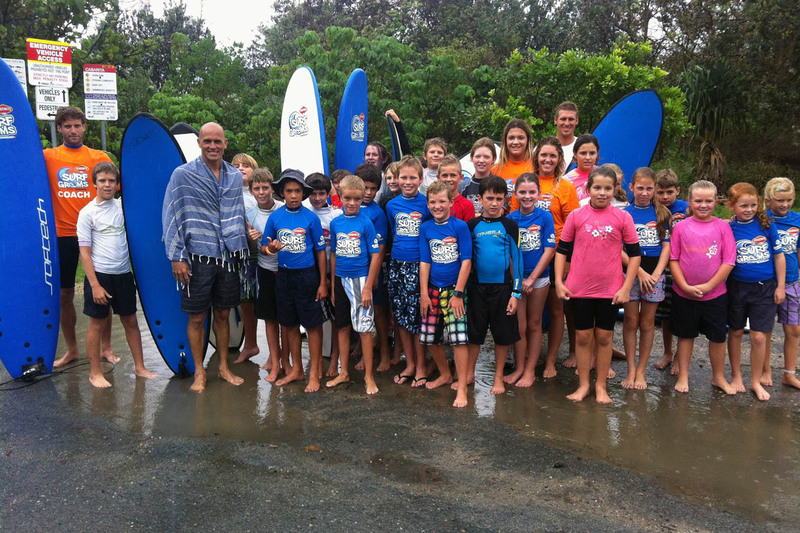 In2Surf Surf School have designed surfing programs for numerous local schools in the area. “Our College established a surf program five years ago with In2Surf Surfing School. 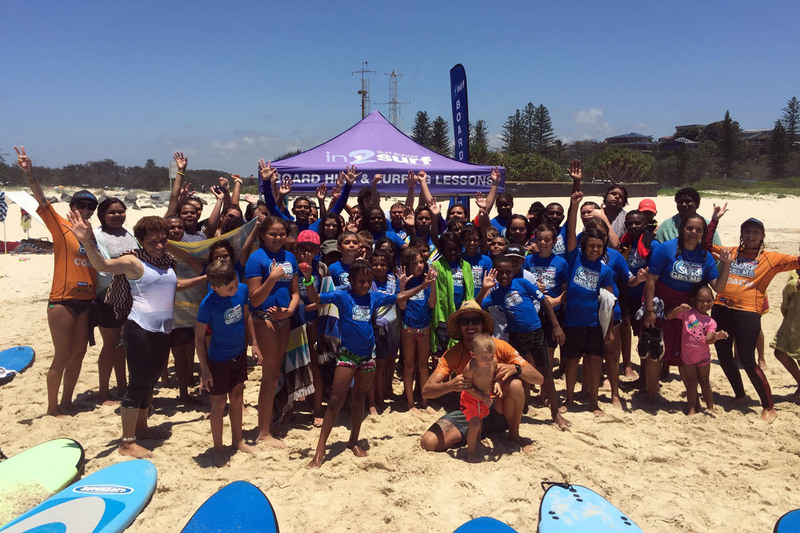 As a result of their great coaching staff, we have seen over 300 children learn to surf. It has been an awesome addition to our school sports program.” – Jim Hughes, teacher at ‘Local’ College. With easy bus parking, public toilets and a shaded park for lunch or morning tea, Kingscliff is known for its clean beach and friendly culture. 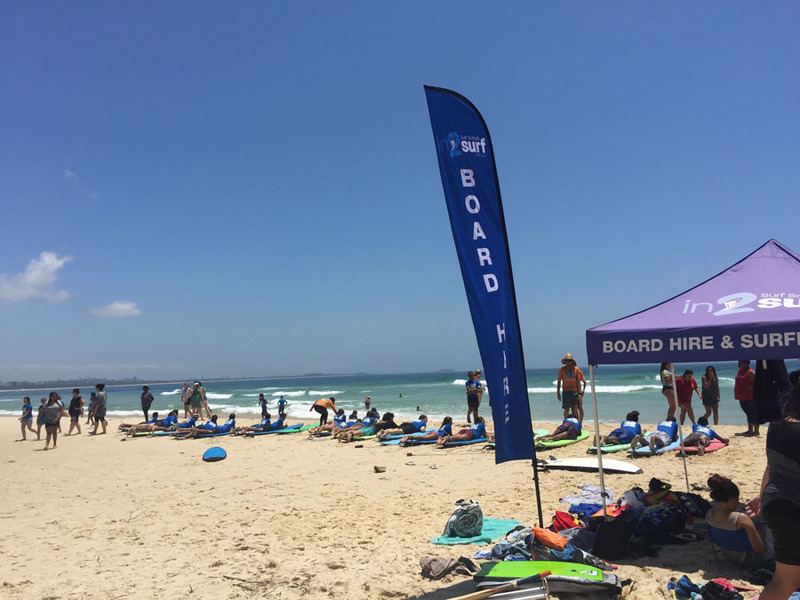 Kingscliff is a perfect place for students to learn how to surf and have a great day at the beach with In2Surf Surf School. 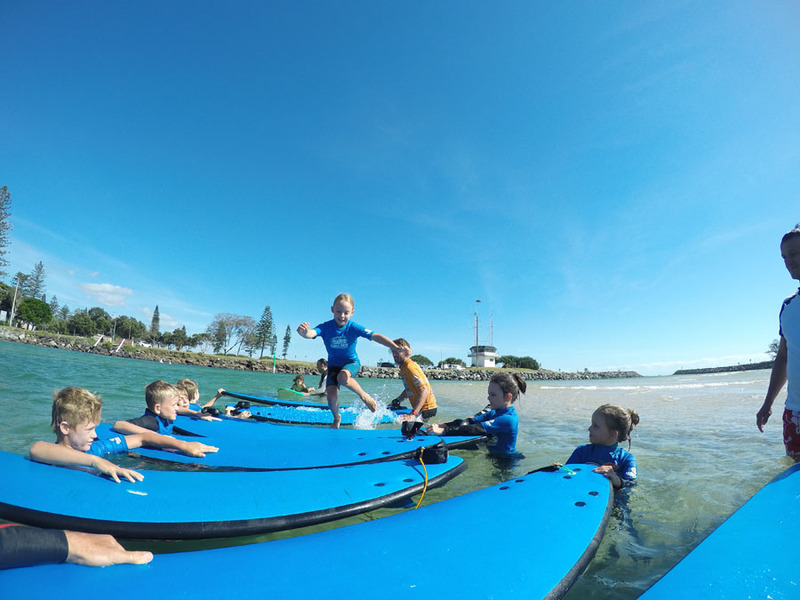 We have lessons and programs for all ages and abilities here at In2Surf Surf School on the Tweed Coast.